We are pleased to provide exceptional line rental, telephone call and broadband deals to all residential customers, through our partnership with Home Telecom Ltd.
Our Home Call price plans simply cannot be beaten. 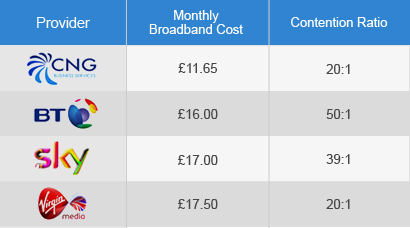 The table below shows how much cheaper we are than all the other main suppliers, plus we do not charge a hidden connection fee which they all do. Even our residential broadband packages are much cheaper than the main residential suppliers, plus we provide unlimited downloads as standard on packages and no extra charges. The other suppliers apply a fair usage policy also. Our lower contention rate means you have a faster service as less broadband connections are bundled by the supplier on each line. You won’t experience the problem of many people using the internet in the peak hours and slowing the service down, as there are less people on each line. We provide the lowest contention rate in the residential market today. 0800 083 9374 to discuss further. Disclaimer * : All copyrights, trademarks and tradenames are acknowledged. 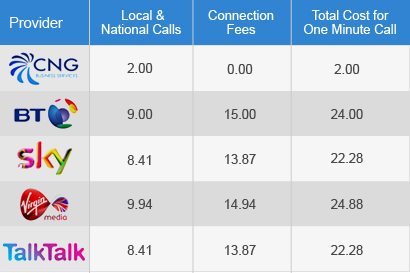 Rates used in comparison: BT Unlimited Weekend Calls Package, Sky Talk Weekend Package, VirginMedia and TalkTalk Evening Weekend Package. Rates quotes are for daytime weekday local calls. Sourced from respective websites and/or telephone verification on 22/05/13 and may vary at any time without notice. Sky rates assume Sky Talk Weekend Plan with call costs for weekday daytime calls quoted. Virgin Media prices taken from Residential Phone Review Price List Feb 2013 – prices without any phone packages. TalkTalk rates assume Evening & Weekend package. Please refer to our full price list for details of call charges. Information is for guidance only and does not constitute any contractual representation or warranty. Liability for errors, omissions or consequential loss is expressly disclaimed. Prices shown may exclude VAT, discounts, special offers, promotions, charges etc. Disclaimer ** : All copyrights, trademarks and tradenames are acknowledged. 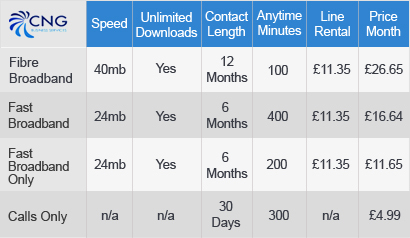 Rates used in comparison: BT Unlimited Broadband 16MB – free for first 6 months then £16 per mont for 18 month contract, Sky Broadband Connect and Virgin 30MB without Virgin Phone Line. Sourced from respective websites and/or telephone verification on 22/05/13 and may vary at any time without notice. Please refer to our full price list for details of call charges. Information is for guidance only and does not constitute any contractual representation or warranty. Liability for errors, omissions or consequential loss is expressly disclaimed. Prices shown may exclude VAT, discounts, special offers, promotions, charges etc.